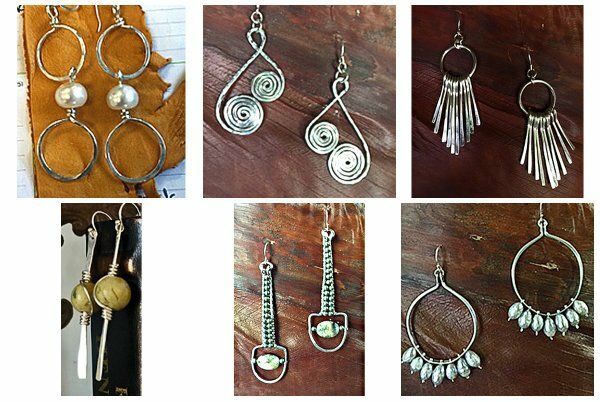 Make up to 3 different pairs of earrings while continuing to master the basic techniques you learned in Wire 101. You can choose which earrings you want to make on class day. Patricia may offer more than one class on her teaching days--the first two students to register determine the projects taught on a given day. If you register on line we will call you to confirm your choice. Note: Our flexible schedule means that recent changes at the shop may not be reflected on line! Please don’t sign up on the website a day or two before class--give us a call to make sure there is a class and that there is room for you. Thank you.